I really enjoyed Everybody Rise, which is being released on August 18th. The novel hits on issues of identity, social status, friendship, and more, and it reminded me a bit of a modern day Jane Austen novel. 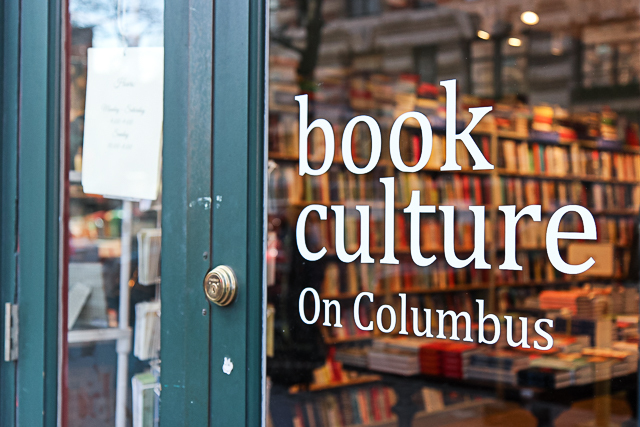 The book follows 26 year old Evelyn Beegan, whose parents are your classic social climbers. 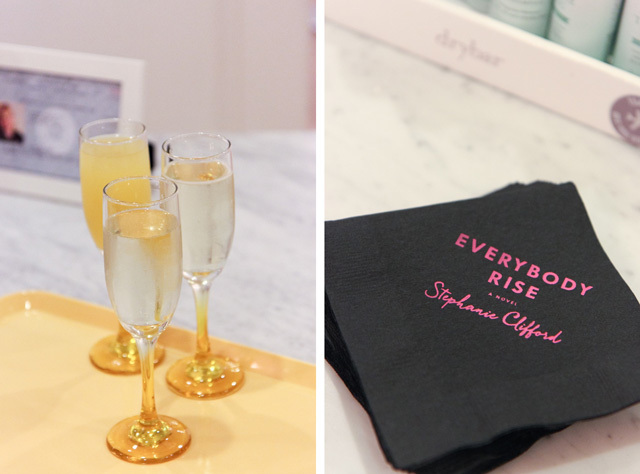 After graduation from prep school and university, Evelyn lands on the Upper East Side of Manhattan with a job at a social networking website that aims to recruit only the most elite members of high society – requiring Evelyn to insert herself into the lives, parties, and Hamptons houses of the very people among whom she’s never quite fit in. Things begin to spiral out of control as Evelyn spins lie after lie in an attempt to cement her place in this new world – muddying her values and beginning to lose her sense of self along the way. 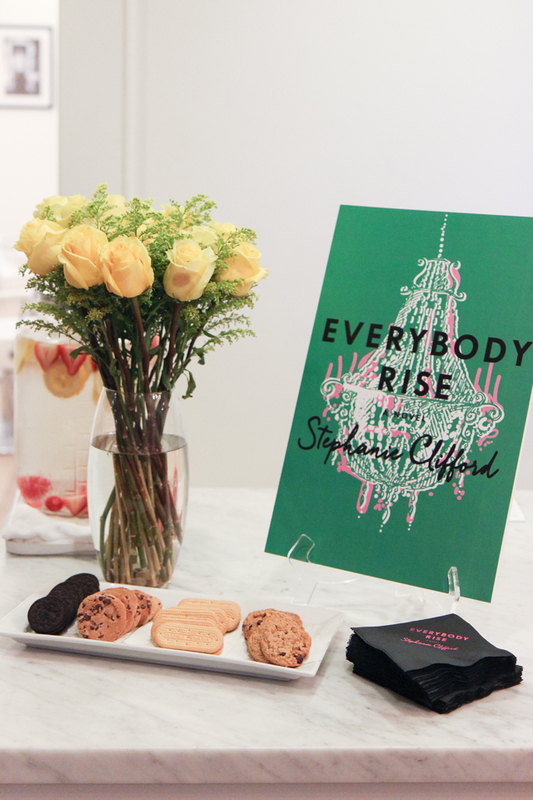 Author Stephanie Clifford describes Everybody Rise as a book about fitting in and figuring out who you are, as well as a book about mothers and daughters…which is fitting, since Stephanie herself became a mother while writing this book! She worked on the novel between the hours of 6 and 8AM on weekdays before heading off to her reporting job for the New York Times, where she currently covers the Brooklyn court system. 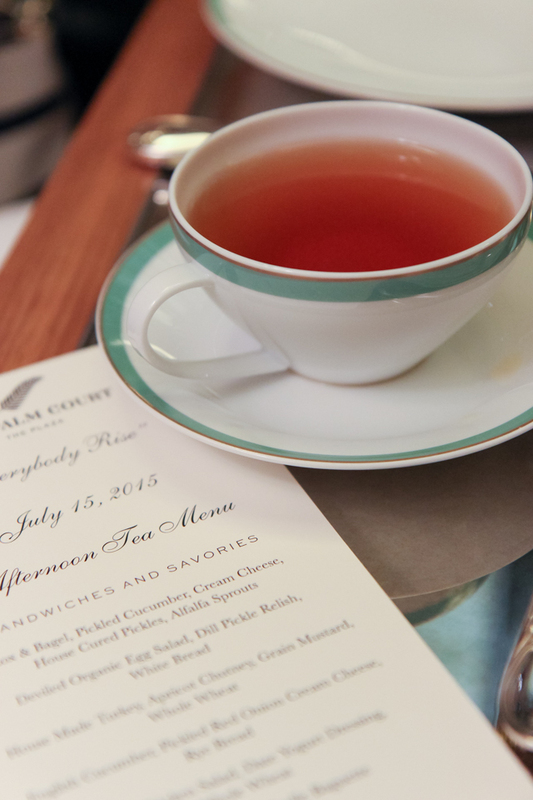 Ok, tea at the Plaza – such a splurge, but SO worth it! I highly recommend doing this if you have a special occasion to celebrate or just really want to go all out and have a special day. 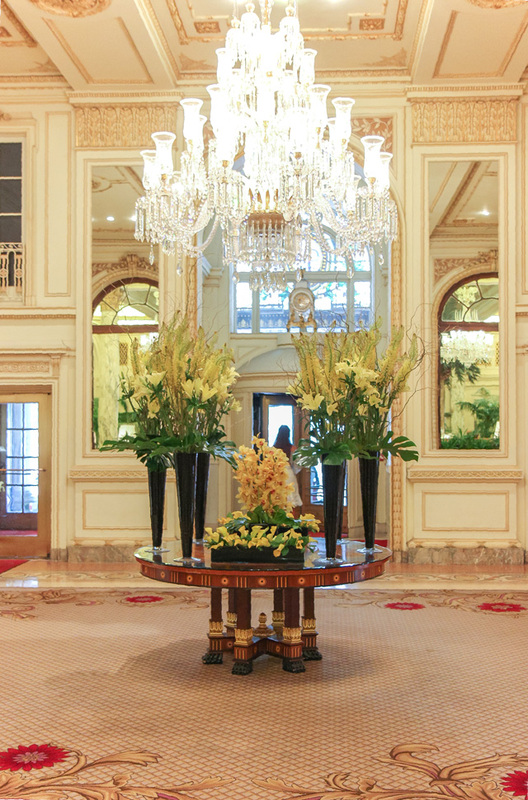 The Palm Court at the Plaza is absolutely gorgeous, and the tea service was a dream – the pastries and scones were delicious, and the whole presentation was impeccable. They also have an “Eloise” tea which is adorable for kids (or adults), and includes a cone of pink cotton candy! 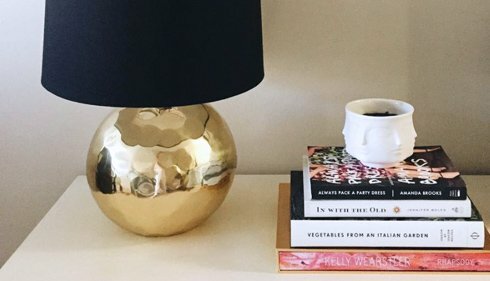 How gorgeous and chic is that tea cake holder? I’m obsessed with it (Also pretty sure it’s not called a “tea cake holder.”). Stephanie talked about how she created a morning ritual of sorts in order to facilitate the writing process, making a deal with herself that she had to devote two hours each morning to the novel. “If I didn’t do anything, if I stared at the ceiling, that was fine. 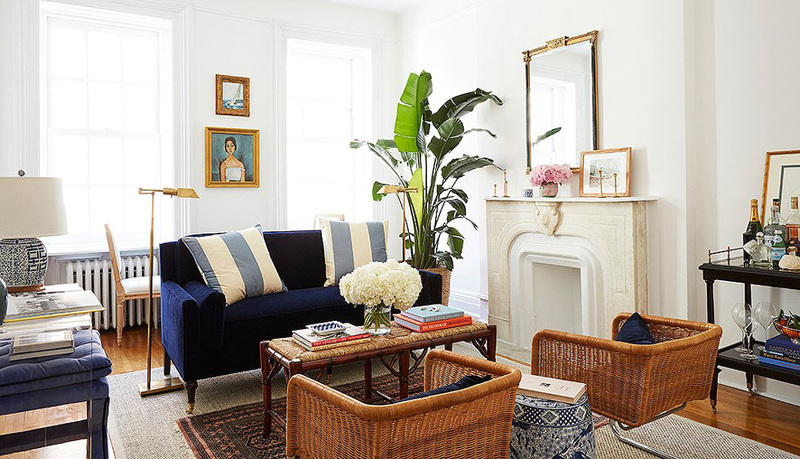 That just took…the choice out of it, it became a habit and set up the space to be creative.” Since she occasionally does New York Times work from home, Stephanie realized that she needed to make her writing space both physically and mentally separate from that. So she put some plants in her windowsill and turned to face the window while writing, making sure to physically turn her chair in a different direction if doing Times work. 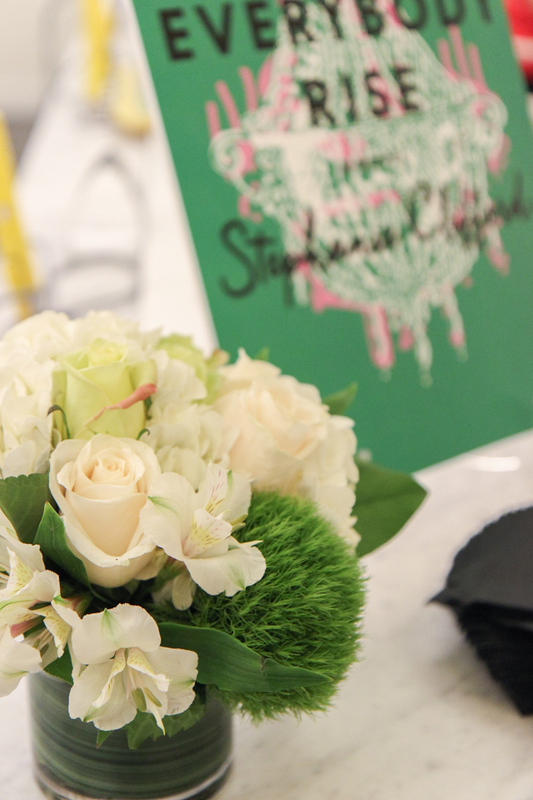 By creating a serene writing space for herself, Stephanie managed to mentally separate her job from her creative endeavor. 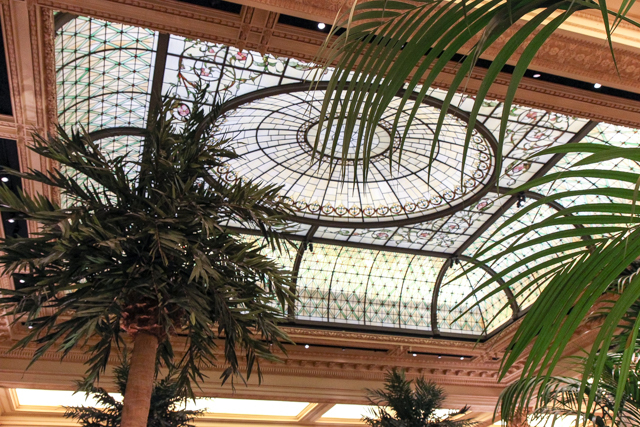 The gorgeous ceiling of the Palm Court at the Plaza. 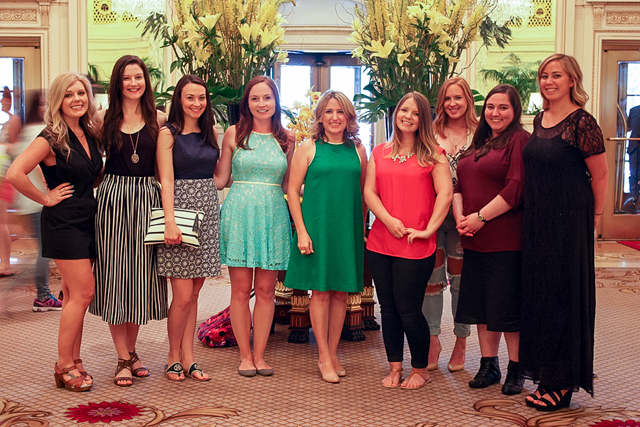 All of us bloggers and writers with author Stephanie Clifford – she’s in the middle wearing the dress that matches her book! I’m wearing my Everlane Ryan Tank and striped J. Crew midi skirt (on sale!). Stephanie couldn’t have been more friendly and gracious, and I’m really so happy that I got to meet her! 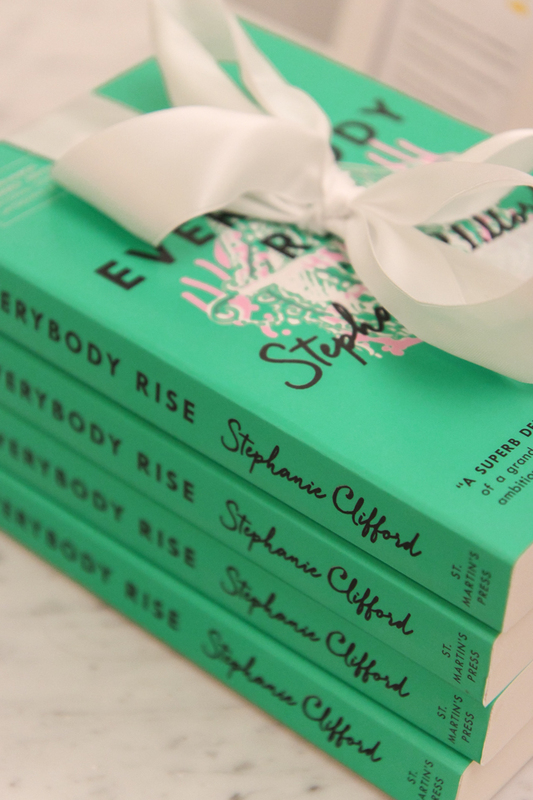 Everybody Rise is a well-written, smart, and thought-provoking novel – funny at times, but substantial as well. It hit on things that I really haven’t read about before, but that I think should be written about, such as the potential pitfalls of trying to keep up in a city like Manhattan and the ways that money and jobs play into that. It’s a perfect beach read with a brain…plus I have to point out that it’s a gorgeous book that will look super pretty on any bookshelf. I really enjoyed it and I think you all will too. 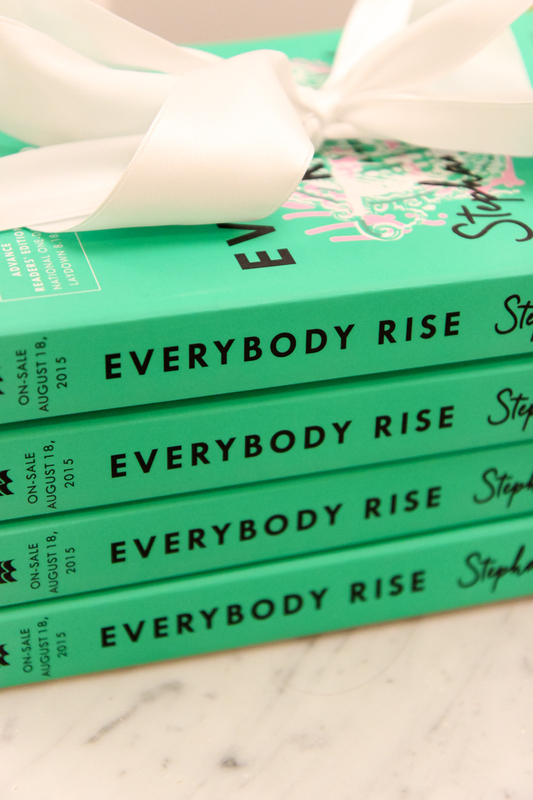 That’s why I’m excited today to have a giveaway for one hardcover copy of Everybody Rise! Simply follow the simple instructions in the widget below (giveaway is open to US addresses only). The winner will be notified via e-mail, so please be sure to leave your e-mail address when you enter. Good luck! all photos by Jacqueline Clair for York Avenue, with the exception of last photo provided by event organizers! I remember when you posted about this event on Instagram! I’m excited to check out Stephanie’s book, it sounds great for an end of summer read. First off, I know I always say this, but your photos just keep getting better and better! This book sounds like a great read–especially after hearing how she pulled it together with so many other obligations! Sounds like a fun summer read. Looking forward to it. Thanks for the giveaway! Wow Jackie your pictures are amazing! Also this book sounds right up my alley. Having just moved to New York City a few months ago (and to a new apartment this weekend!) I feel like I can totally relate to the main character Evelyn. I am so impressed with Stephanie’s work ethic and her tips to creating a different space to focus on writing vs. work. Sounds like a wonderful event and book! The book sounds like such a fun read. I loved the recap of the event. NEED a new book to read and this looks awesome! This book looks great! I’m a lawyer and would like to write a book one day so I can really identify with the author. It’s so cool that she covers the Brooklyn court system. 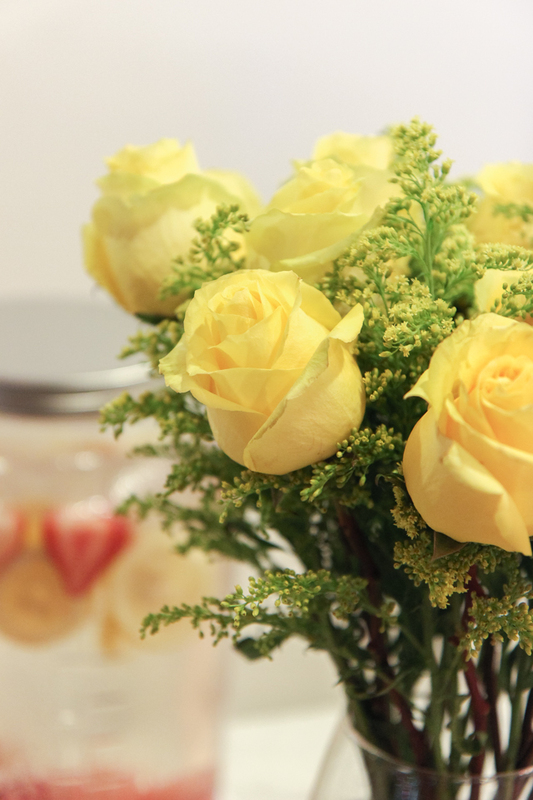 Beautiful blog too! I have read several of your suggestions. 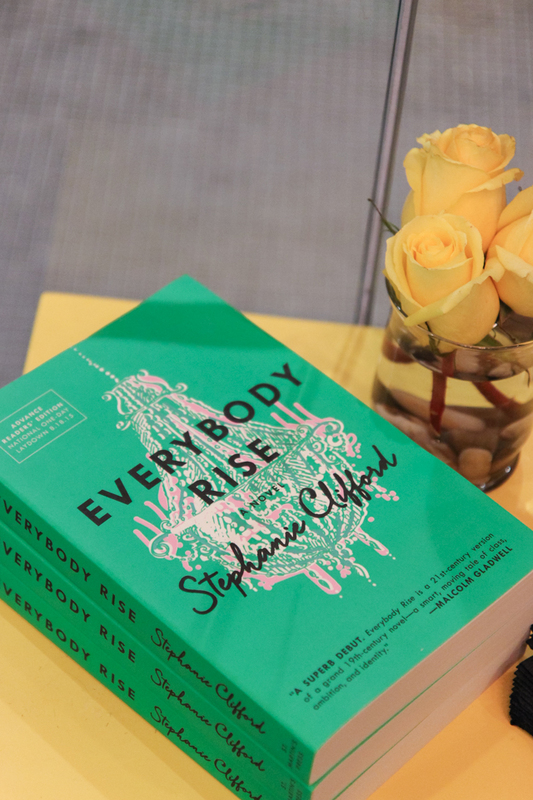 I am a voracious reader , it’s always been my thing .I know nothing about Stephanie , it’s always nice to find an author that one really likes and follow their career. I am always looking for new books to read, especially in the summer, and this sounds like just my kind of book. I will have to keep my eye out for it. I just picked up The Rumor by Elin Hilderbrand. Looks like such a fun event. I’m loving the cover. 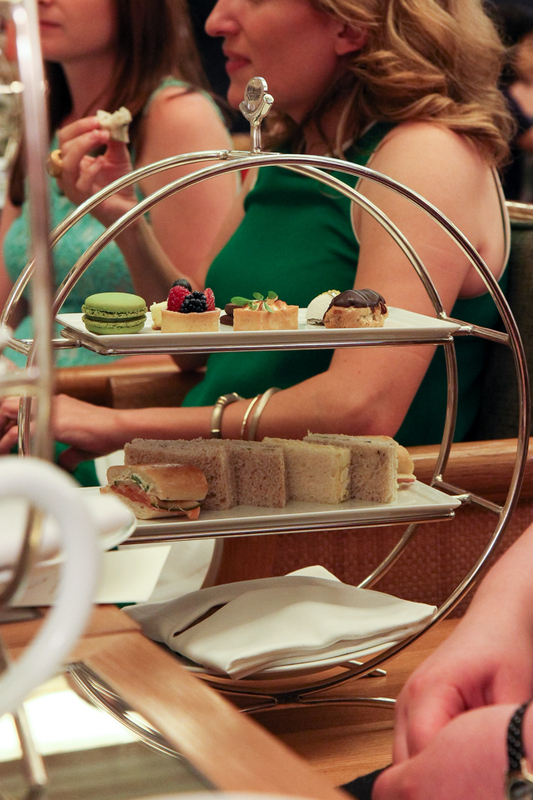 Also, your tea photos are gorgeous! As someone who loves all types of books, this seems like a great read! 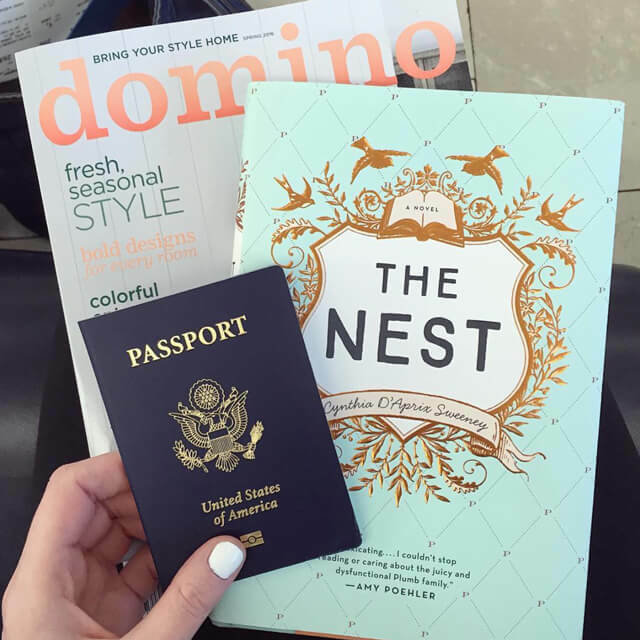 Moving to New York in 11 days and would love to read this! What an amazing event! The book sounds a bit like gossip girl, which is one of my biggest weaknesses so I am definitely adding it to my to-read list! This would be a wonderful summer read. Thanks for sharing the giveaway. Fingers crossed :)!! I need a new summer read! Thanks for hosting a great giveaway. Just found your blog today. I am really enjoying it! 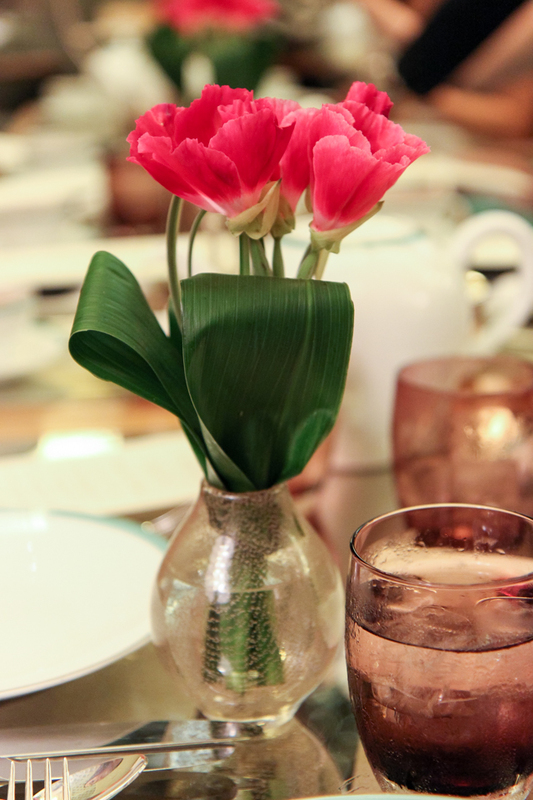 The tea looks divine! What a fun read. This book looks like a fun read, I’m excited for it to come out! 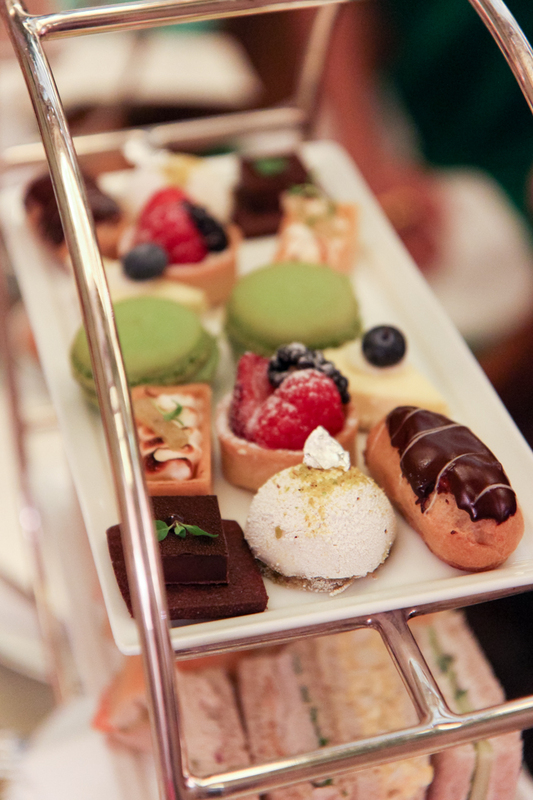 Also, your photos from tea at the Plaza are making my mouth water, it all looks delicious! Looking forward to reading this book. Stephanie’s wise advice is applicable to situations beyond writing a novel. Looking forward to reading it soon. I love the author’s advice! I’ve always wanted to be a writer but struggle to make a habit out of it. I’m going to try to create a ritual and work space and see what happens. Thanks for a great post and great giveaway! Ok I’m probably one of the few (if not only) guys to comment on this, but how fab are those tea cake holders?? I think they might be called tiered tea cake trays? This book sounds like read that would be right up my alley! Looking forward to a new summer read! Great giveaway! This sounds like such a fun read! 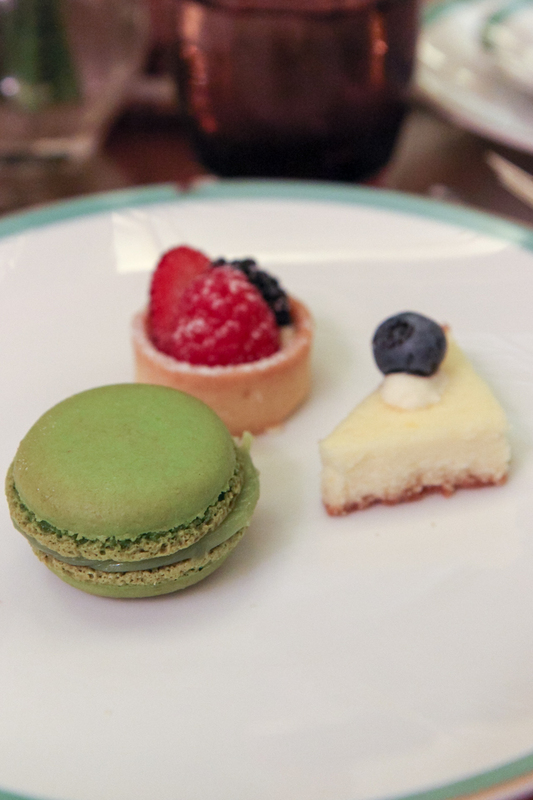 Also, I am adding tea at the plaza to my list for my next trip to NY – looks absolutely decadent. Looking forward to reading and the mother daughter aspect in the book. Loved having tea at the Plaza with my daughter Justine! Looks like a great book and a fabulous event! Superb writeup on a great event. Also captured so well with your amazing pictures Jackie. Plus, great giveaway. This book was already on my “to read” list. I even more excited about it now! The Plaza is such a dream! Love your pics! Thanks for posting this, it was lovely. Just found your blog and I absolutely love it. Can’t wait to read more! Sounds like a great book! Thanks for letting us know about it. Great post. I would love the book! Sounds like a great book! Thanks for the giveaway. Good luck everyone! !